Relatively clean waters. Not too short a paddle and not two many houses along the waterway. Eau Gallie River: Finally no houses! These creeks are mostly in the Melbourne and Palm Bay areas southwest of the space center. Crane Creek, Horse Creek and the Eau Gallie River. They are "OK" if short paddles. I think my dislike of houses along the streams left me a little jaded. 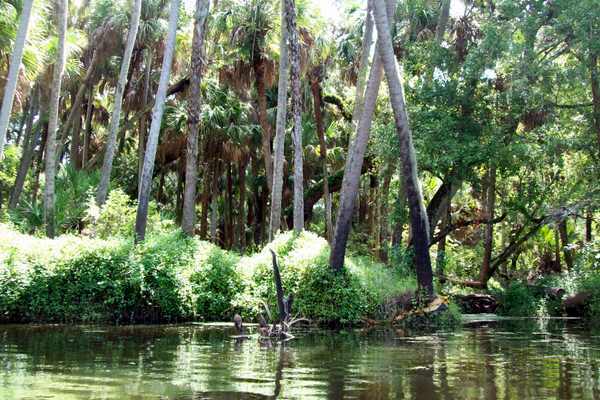 Moving south on the West Bank of the Indian River is Turkey Creek. A slightly longer paddle through a nature preserve-at least the houses are mostly out of sight. So initially I was pretty happy with Turkey Creek however two things happened to alter my opinion. First only an hour or so upstream from the park we launched from we ran into a dam. Peering over the top of the dam, the pretty stream turned not so pretty. The creek above the dam looked like a retention pond surrounded by houses. 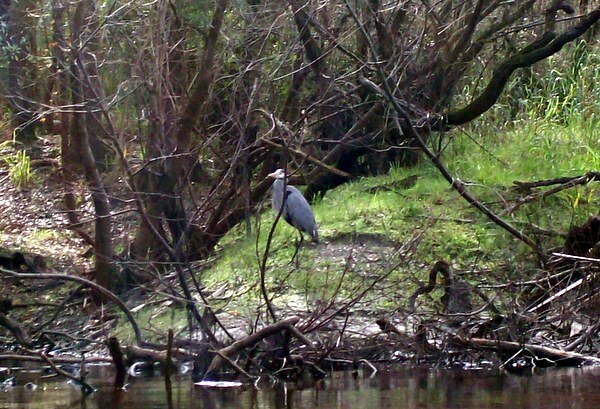 A blatant reminder that Turkey Creek winds through Palm Bay-Brevard County's most populous city. Before I get to my final complaint of Turkey creek I would point out that the creek is very pretty with boardwalk in the nature preserve area. At the board walk people toss pellets or something and hundreds of turtles appear for free food. I was surprised to see a pale terrapin pop to the surface for junk food. And I read in the local paper that a colony of invasive turtles (red ear or painted sliders-I forget which, but released pets) from Missouri had taken up residence in Turkey Creek. Turkey Creek. Just south of the Dam, the water looked "dirty"-and I don't mean just turbid. So all in all a nice paddle. My complaint then? Why it is Turkey Creek on my dislike list? 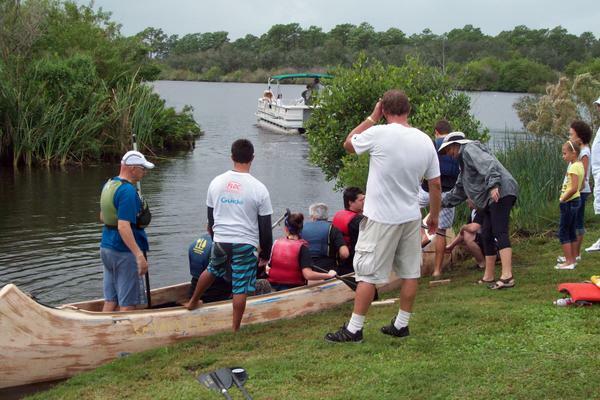 Once we launched our kayaks: in less than an hour I had a green stripe attached to the white part of my boat (grimace) -So how clean is the water of turkey creek, that it marred my boat so fast? Nowhere else in Florida had water done that to my boat. Petroleum? Sewage? I honestly do not know however I was a little dismayed. Do not really want to go back to Turkey Creek even though there are some pretty spots and Missouri turtles. So continuing south (south of Palm Bay) is the San Sebastian River. The Sebastian River is bigger and cleaner than Turkey Creek but similar in appearance. The mouth of the Sebastián River is well known for the tarpon fishing where the fresh and brackish waters mingle. 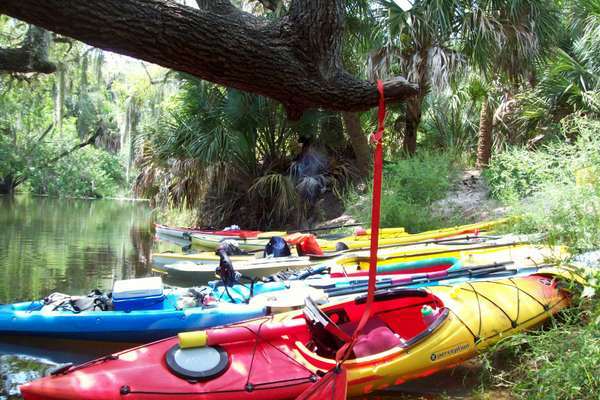 And an a unique feature about the Sebastian River: it is split into two branches. The north and south forks. 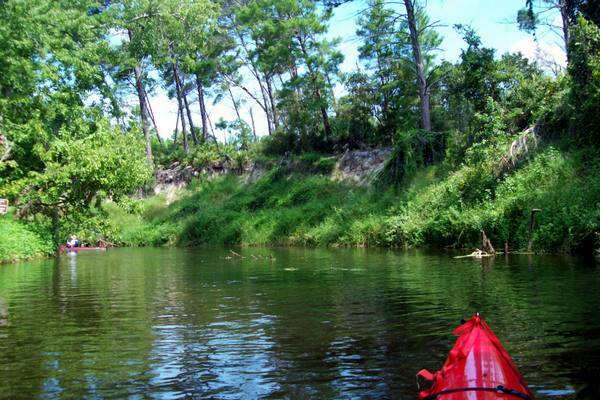 The south fork meanders similar to Turkey Creek, however the north fork quickly turns into a massive drainage canal that extends nearly to Blue Cypress Lake. My assumption is this canal drains the cattle and farm lands of Felsmere. No information on this North Prong Sebastian River canal however the freshwater discharge from the massive canals on the southern end of the Indian River Lagoon causes massive environmental problems for the lagoon in the Port St. Lucie area. 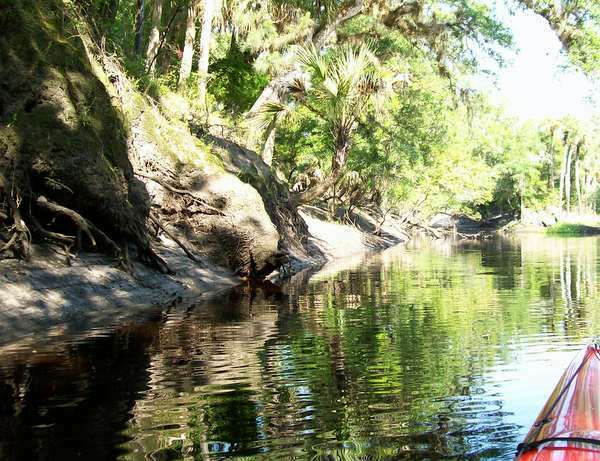 The Sebastian River is an ok paddle, just that for the driving distance, the river is two short and two many houses have been built along it. 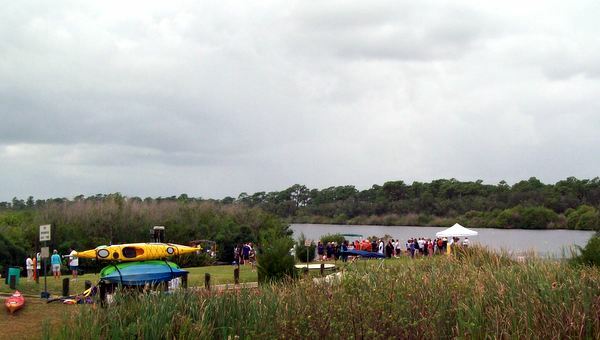 **The two lakes at Pine Island-just south of the space center. Brand new primitive boat launch- however the lakes are just small. -Even before paddling 340 miles, I considered these lakes small. Many of these folks do not slow down for small water craft. If they are trying to intimate me--it worked.